Fred (pictured) and Myrtle Flutey of Bluff were two of New Zealand's best-known collectors. 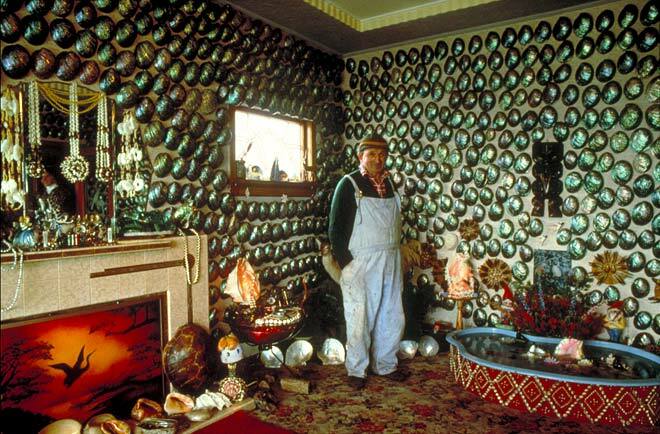 In the 1960s the couple began accumulating colourful pāua shells, and ended up displaying 1,170 on the walls of their home. The collection became a national institution, and in one year attracted more than 25,000 visitors. After the Fluteys died in the early 2000s their house was purchased by their grandson, Ross Bowen, who – controversially – loaned the collection to the Canterbury Museum. The lounge, entrance and driveway were re-created in the museum and opened to the public in 2008.